We need to eat nutritious foods for our bodies to function well and stay disease-free. And it’s not a bad idea to take it from the top. So here’s an introduction to which foods we should be choosing on a daily basis. So long, salami and sausage…. Truly understanding which types of foods are the best sources of healthy nutrients is the first step in creating a healthy diet plan. 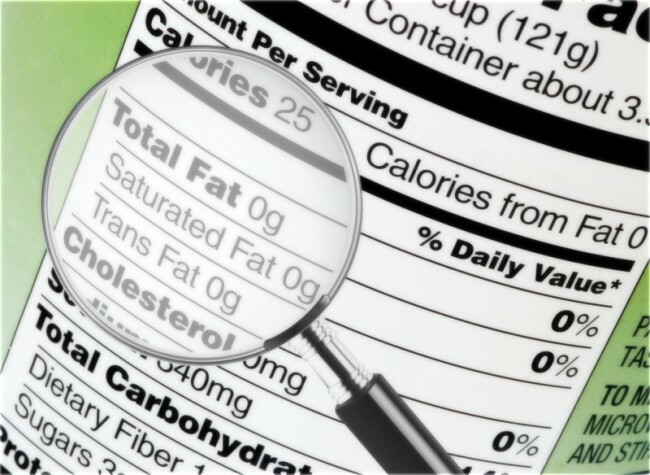 The term “nutrition” has a variety of definitions, some more scientific than others. For the purposes of this blog, my answer to “What is nutrition?” is simple: the foods and beverages you consume to keep your body healthy and functioning. The nutrients in those foods and beverages are what provide you with the various components needed to keep you alive and well—from bones to skin, brain to belly, head to toe. I could give you a long list of the various nutrients your body needs and tell you how much of each nutrient you should have every day, what each nutrient does in your body, and which foods and beverages are the best sources… but I won’t. When the term “diet” is used, many people think of an eating plan designed for weight loss. Here, I’ll use the term “diet” to refer simply to the foods and beverages you consume (I tackled weight loss in another post). Creating a diet plan that meets all of your nutrition needs can be overwhelming when you consider the thousands of food and beverage options available. Fortunately, nutrition experts who have crafted any number of diet plans have helped take the guesswork out of determining what to eat. The next challenge is selecting one of these diets—there are so many choices. How do you pick the healthiest eating plan? Here’s what I do: I look at research conducted by nutrition experts. Each year, a team of health and nutrition experts who have MDs, PhDs, and RDs (registered dietitians, also called RDNs, or registered dietitian nutritionists) review research results on more than 30 diets and then rank them in several categories, including overall diet, healthy eating, weight loss, heart health, and diabetes. These rankings are then tallied and published annually in the U.S. News & World Report. 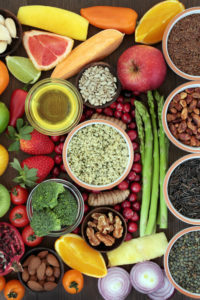 In the most recent (2016) diet rankings, the Dietary Approaches to Stop Hypertension (DASH) diet earned the top spot in the healthy eating category, while the Therapeutic Lifestyle Changes (TLC) diet, an eating plan created by the National Institutes of Health, came in second. The MIND diet, a combination of the DASH and Mediterranean diets that supports brain health, tied for third place with the Mediterranean diet. The diets that took top honors have some notable similarities because of the foods that they encourage, as well as the ones they discourage. It’s tried and true advice: Load up in the fruit and vegetable sections of your grocery store. Low-fat or fat-free dairy products. These foods will provide you with lean protein, healthy fat, slowly digesting carbohydrates, filling fiber, and a host of vitamins, minerals, antioxidants, and other nutrients. If you base your diet on these foods, you will lower your LDL and total cholesterol levels and also lower your blood pressure. You will probably increase the amount of fiber you consume, which can help you lose weight or maintain a healthy weight as well as improving your intestinal health. And, your blood glucose levels will look more like a nice, steady wave pattern with gentle rises and falls, rather than like a heart-stopping thrill ride that takes you waaaay up… only to send you plummeting back down. Here’s the hardest part for many of us—cutting out the foods that contain unhealthy substances that take a toll on your health. It’s inaccurate to say that all of these foods are not nutritious—some of them are. However, the unhealthy aspects outweigh the value of the nutrients. For example, ice cream is a good source of protein and calcium but is high in saturated fat (heart attack, anyone?) and added sugar (there goes your blood glucose and your waistline). Nutritious diets don’t include fatty red meat (bye-bye, prime rib), processed meats (so long, salami and sausage), or full-fat dairy products high in saturated fat (see ya later, brie and butter). They include little or no sweets or added sugars, and highly processed foods are a no-no (this means bypassing boxes, bags, some canned foods, and most of the frozen section when shopping). This overview of the do’s and don’ts for a healthy diet answers the question, “What is nutrition?” Once armed with knowledge of which types of foods are the best sources of healthy nutrients, you’re ready to put it into practice—right? Enjoy… and be healthy. Originally published May 2016 and updated. aging, allergy, allergy season, antibiotics, antioxidants, back pain, blood glucose levels, blood pressure, brain, brain health, calcium, cancer, cancerous moles, cholesterol, cholesterol levels, dairy, dash diet, diabetes, diet, diet plans, dietary approaches to stop hypertension, digestive, ears, fiber, food, glucose, glucose levels, health, health and nutrition, healthy diet, healthy eating, healthy weight, heart attack, heart health, highly processed foods, how to relieve lower back pain, hypertension, intestinal health, kidney stone pain, ldl, Lose Weight, lower back pain, lower your blood pressure, medical issues, mediterranean diet, mind diet, nutrients, nutrition, nuts, pain, processed foods, protein, report, skin, stop hypertension, sugar, the mediterranean diet, total cholesterol, vegetables, vitamins, vitamins minerals, what is nutrition, what s ailing you, whole grains.